But his blunt comments to aspiring singers and talents during the audition rounds is actually just a put-on of a character he brings to television. In real life, Simon is beloved by his talents who have since reached great success in the entertainment industry, including Kelly Clarkson and One Direction. 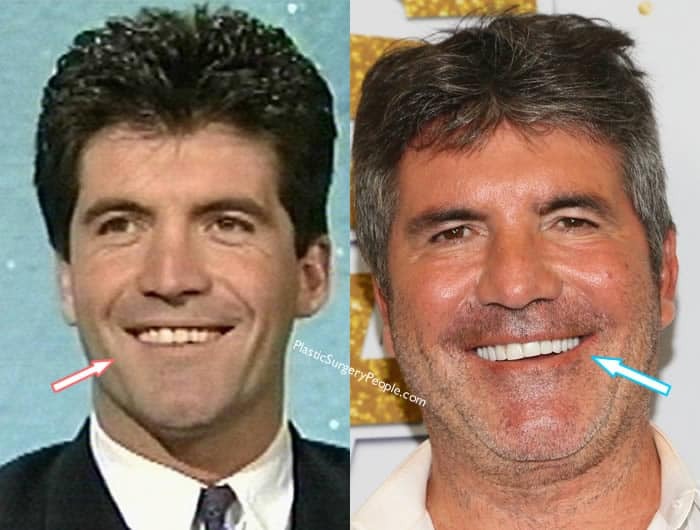 While his portfolio is certainly amazing, fans have been wondering what the hell has been happening to Simon’s puffy face lately. 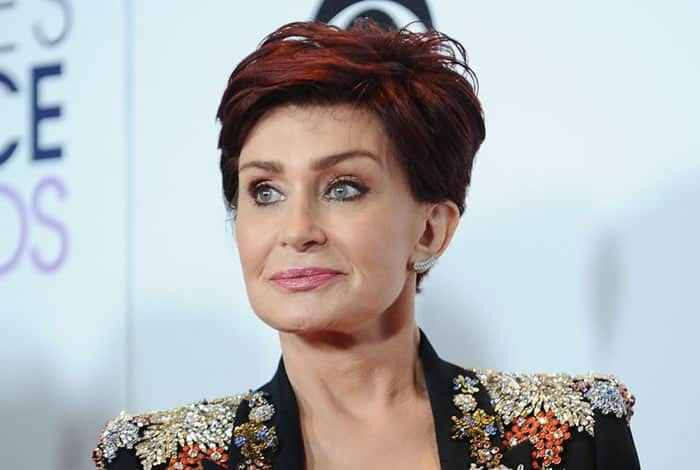 People cannot stop whispering about him getting botox fillers and there were also talks that the TV talent judge has undergone a face surgery to minimize the wrinkles on screen. Let’s face it, this British man has been on the television show business for nearly two decades, so even if he had gotten plastic surgery, we can’t really see anything wrong with it. The only question we have is, what anti-aging treatment did a man, who’s pushing 60 years old, get? 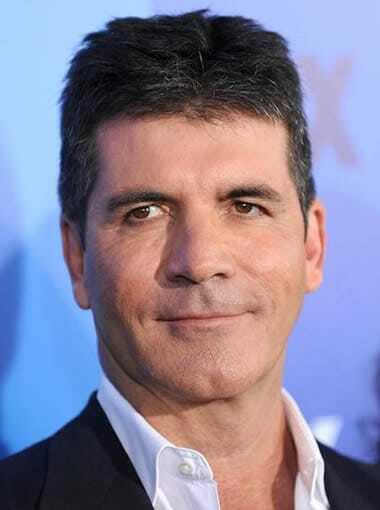 Did Simon Cowell have botox? Has Simon had a face lift? Did he get cheek implants? 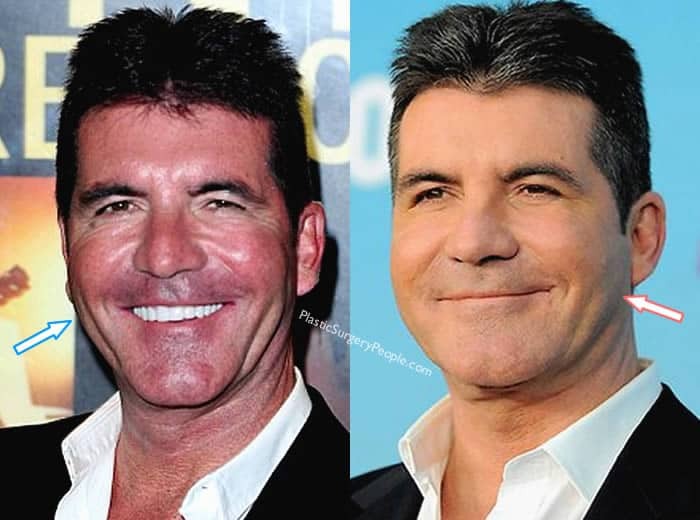 What did Simon say about plastic surgery? 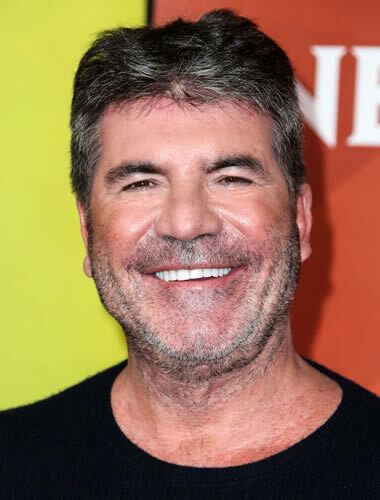 To find out the type of cosmetic procedures that Simon Cowell got to improve his appearance, we’ll look at some of his before and after photos. Let’s see if his transformation deserves a golden buzzer! 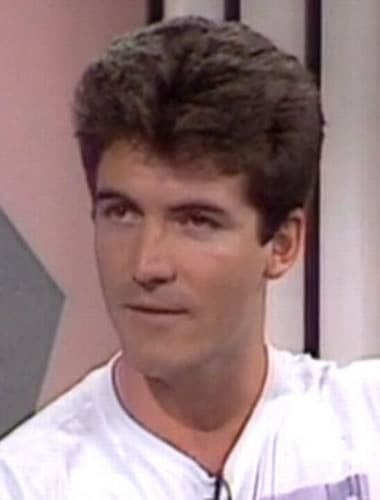 During his early appearances on television, Simon’s face looked rough and rugged. He had deep lines and wrinkles around his eyes, as seen in this before image. But some years later, those lines disappeared, as this after photo will show. 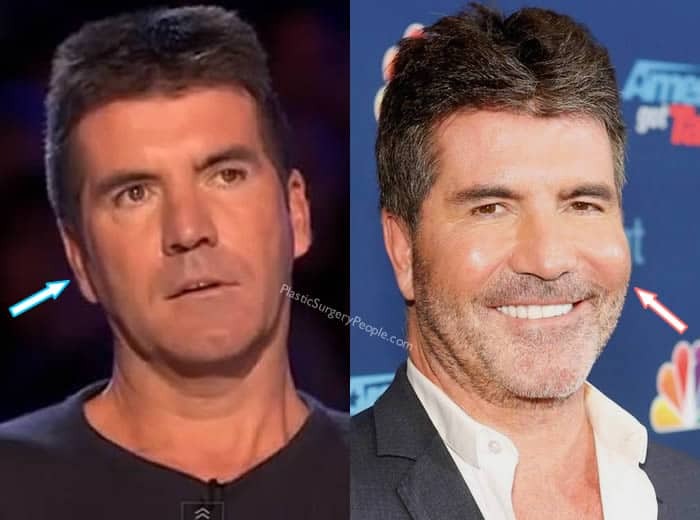 Simon has since been appearing in public with smoother skin as if he has layers of makeup on. He’s also got fuller and youthful cheeks, which only means one thing: he’s getting botox injections. Did Gordon Ramsay get botox injections? Has Jane Fonda had botox? These comparison pictures look like two different people, don’t you think? Based on this photographic evidence in front of us, it’s quite possible that Simon has had a facelift. We just don’t think skincare creams and even dermatologist can reverse a skin condition like that. Apart from the disappearing wrinkles around the eye area, Simon’s face looks so tightened and smooth post-surgery. In fact, he looks years younger in the after photo. So if this is true, then to Simon Cowell’s plastic surgeon credit, he has done a really good job with this procedure. 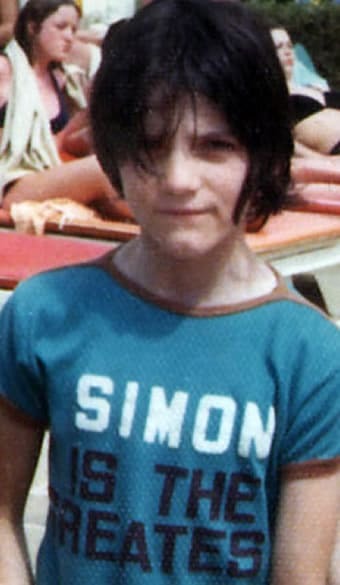 Simon didn’t have prominent cheekbones back then. His cheek area was almost completely flat, as seen in the left photo. However, his after pic shows his cheekbones are really swollen now. After analyzing a number of photos and videos, we doubt he had cheek implants and it’s likely that he went too far with the botox. So much so that the procedure changed his face shape. Do you think he should lay it off or is it giving him a more friendly smile? 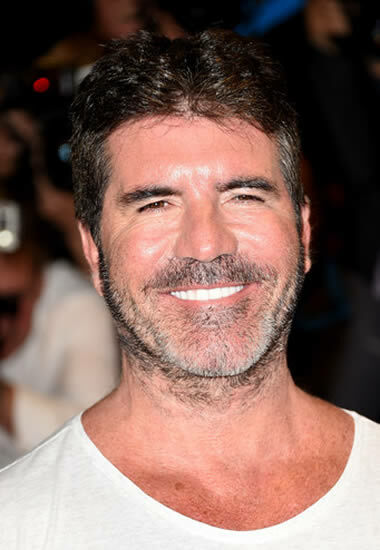 To be fair, Simon’s teeth look a lot better than many British men who hate going to the dentist. So, for us, he really has a fetching smile for TV. His before photo hints of slightly crooked teeth but his present smile proudly shows a perfectly-aligned set of pearly whites. He has most likely gotten veneers, rather than braces, to correct the imperfections. Another procedure we think he’s had is teeth whitening. Look how sparkling they are…they almost look fake! Want to see how Simon looks back then and now? Check out these photos below and see his transformation before your eyes. We might pick up some additional “things” too! Young Simon was raised in a well-to-do household in London. 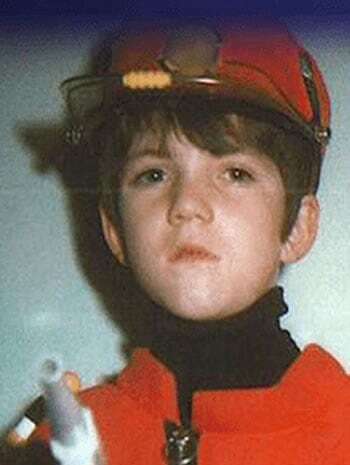 This childhood photo alludes that even then, this man had an ego (confirmed by his own brother). But he’s definitely a handsome boy in this red and black outfit. 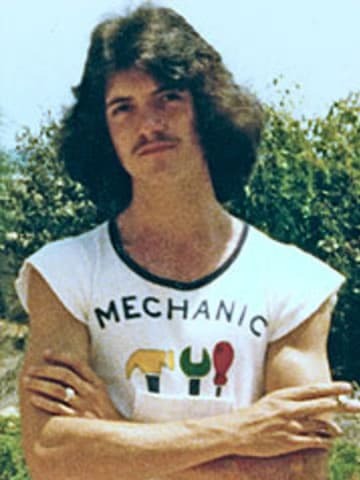 As an adult, Simon rocked the retro hairstyle and mustache in this vintage photo. Who knew he had such biceps and strong arms?! Did he enjoy a good workout back then? He certainly look fit. Simon was skinny during his ’30s as a young record executive but he still had his own charisma with that perfectly-shaped nose. 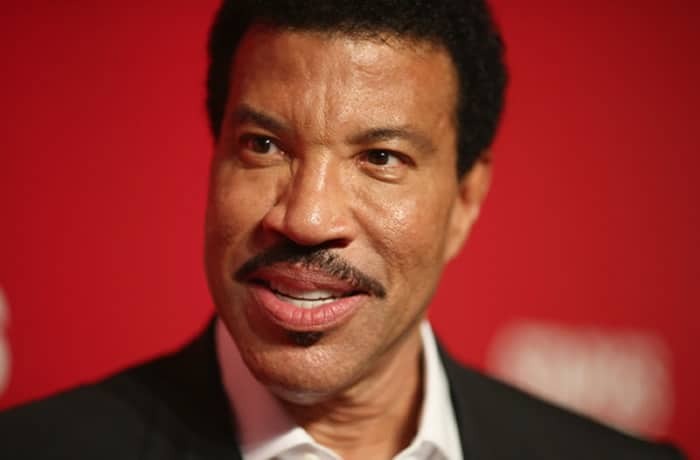 While his nose looks thinner here, but we doubt he’s ever had a rhinoplasty. He had so much hair back then so it’s easy to see why he has no hair loss problem even today. Now a 41 year old bachelor, Simon is slowly losing the youthful charm. And he always liked wearing plain white shirts like this one, which would become his trademark outfit on his TV programs. This photo shows he did have a gap in his teeth, which has now been corrected with a dental procedure. By this time, Simon Cowell became the TV judge that everyone loved to hate. He was also scrutinized for his hairstyle, skin, laugh lines and overall appearance. He seemed to have gained weight and looked a lot more mature. But fans think he had pec implants around this time since his chest’s form is still so prominent underneath that suit. 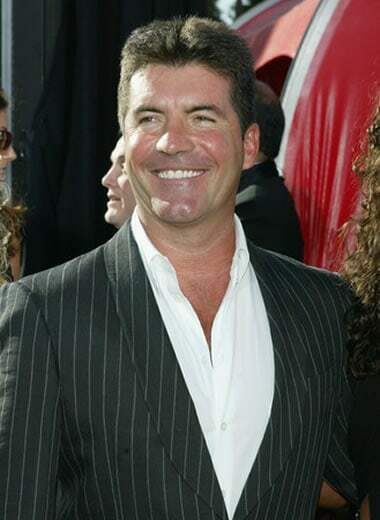 A few years later, Simon appears in public for the launch of “The X Factor USA” with less lines and furrows. If it’s a makeup trick, then how come he’s got a slightly bloated face? Simon definitely got dermal fillers for this event to make himself look younger, right? Here we see Cowell attending another season launch of “The X Factor UK” in London. Getting rid of his generally clean face, Simon decides to grow a beard, perhaps to hide the puffiness on his face cheeks. He looks really happy with his great smile but fans speculated about his excessive facial injections which prompted rumors of cheek implants. Did he overdo it? 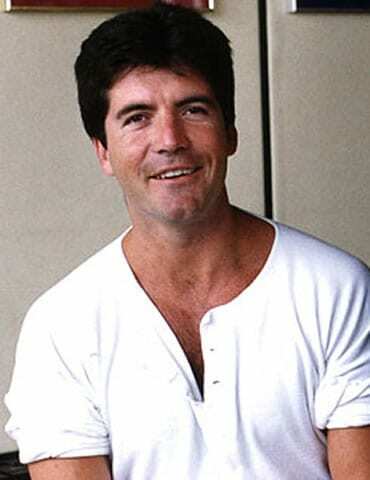 Now a father he never imagined he would become, Simon Cowell looks like a fulfilled and happy man. He seems content as he comfortably put on some weight and it shows on his thickened jawline and double chin. We hope he stays in shape because, at this rate, he might need liposuction soon. There’s no denying that Simon has been open about his cosmetic enhancements. Speaking with The Sun, the TV judge said that he’s had a £2,000 non-invasive face lift. 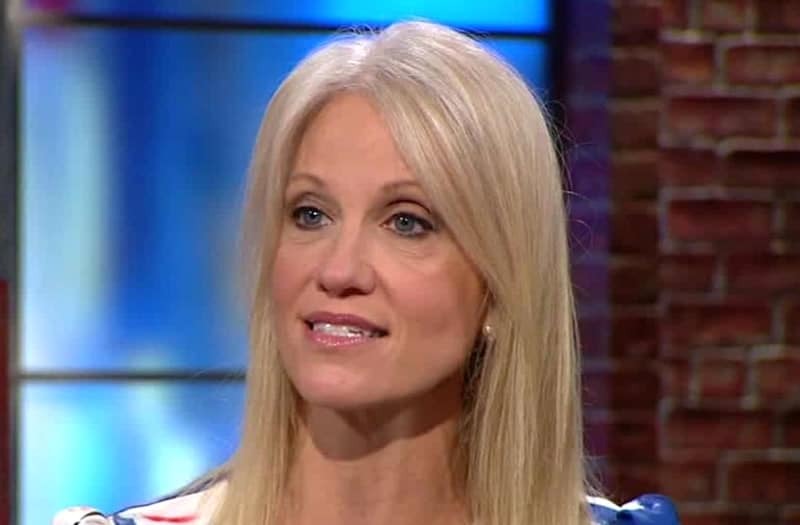 I probably did have a little too much Botox a couple of years ago, because everyone on TV has it. Simon also spoke with Mirror and said that to look young is important in show business because it’s what the public wants. However, he’s not always comfortable about the procedures he got. Once in LA, years ago, I met this girl who would wrap me up in cling film and then tin foil, after covering me in oils. It was meant to be detoxing. She then put me in this tube in my house, locked me into it for an hour…After about two months I realized this is actually torture. That was crazy. Did Cher have plastic surgery? Did Mel B have cosmetic surgery? 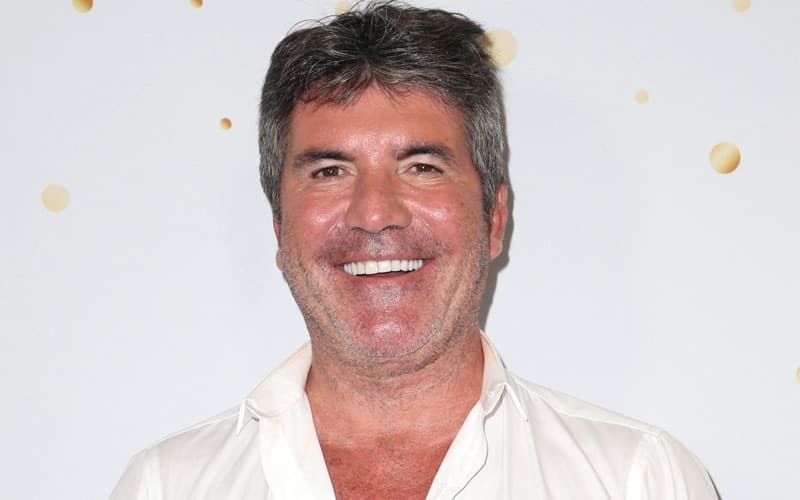 Simon Cowell bluntly admits he has gotten cosmetic surgeries and he’s honestly looking good for his age. You’ve got to give the man some respect as well for acknowledging that surgical and non-surgical procedures are necessary for his line of work when others would deny that they went through similar enhancements. 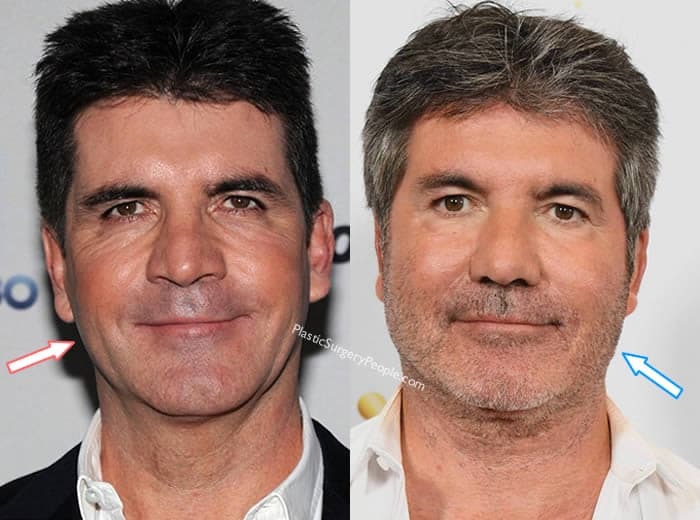 It’s clear that Simon has botox to maintain his youth and possibly a facelift too. Although he has denied that it was a face surgery, the result seems too good to be true. His surgeon is reportedly Dr. Jean-Louis Sebagh, who is reputed to be quite the Picasso in the cosmetic enhancement industry, so we could be wrong. 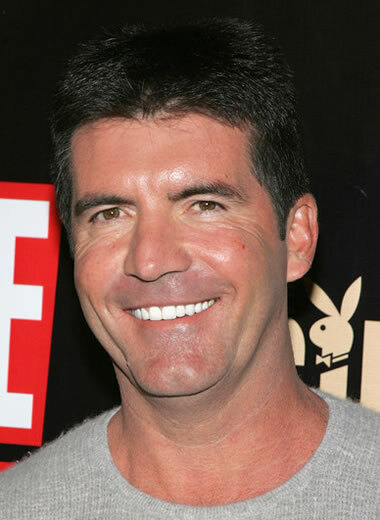 Simon has earned some criticisms, ridicule and jokes about his anti-aging procedures. But we’ve got to admit that he made the right choice since he works in an industry where looking presentable is of supreme importance. And for that, we’ll give him the golden buzzer. Next articleDid Adriana Lima Have Plastic Surgery? Women Facelifts Down By 44%, Replaced By Phone Photo Filter Apps! Kiko Mizuhara – Top 3 Cosmetic Procedures She May Have Done!